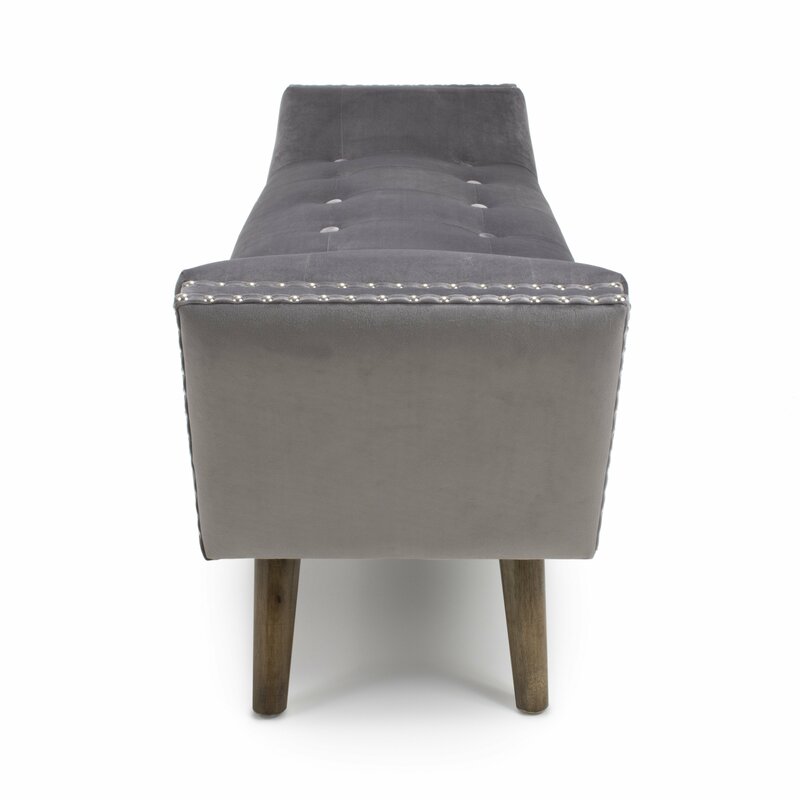 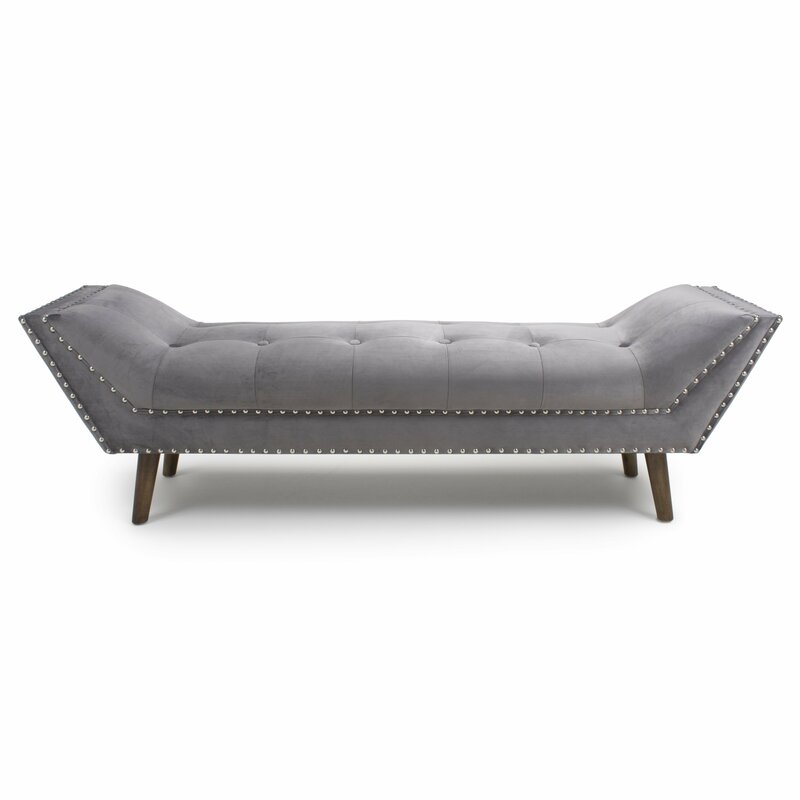 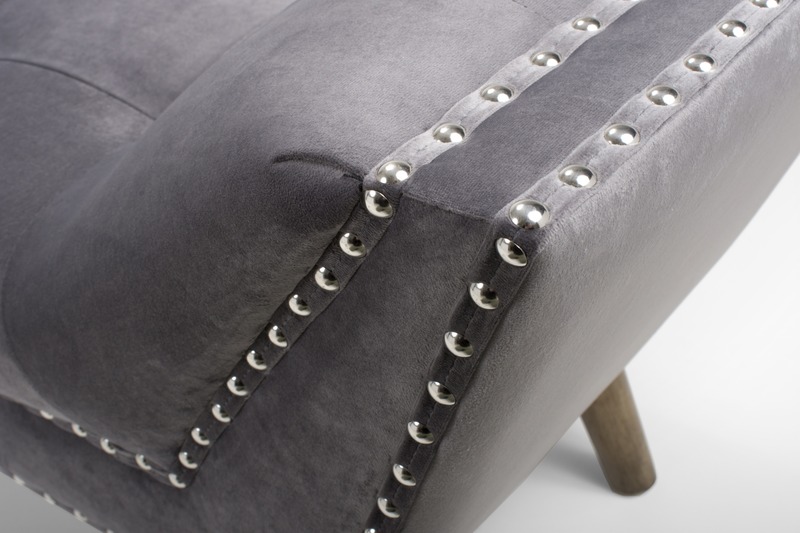 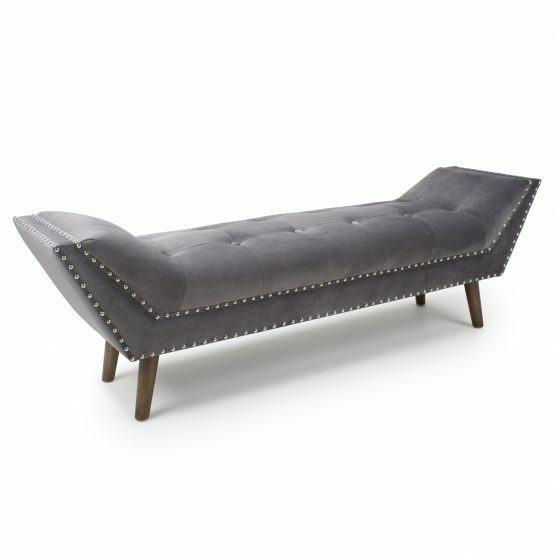 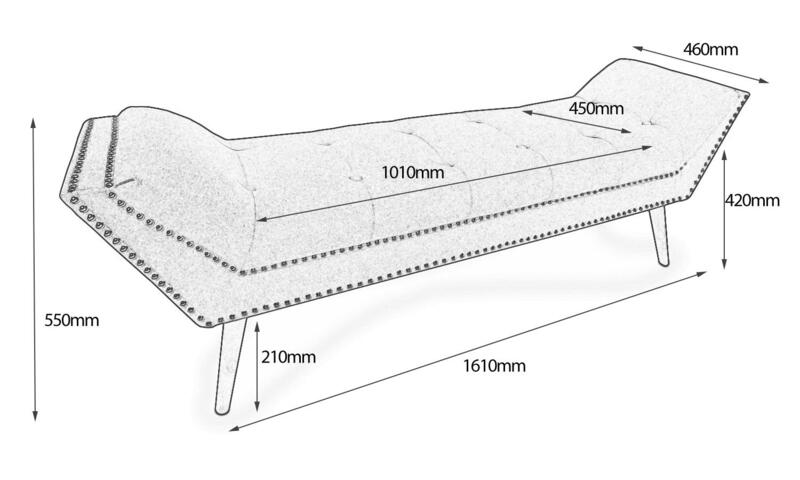 The Montrose large Grey Crushed Velvet Chaise is A funky chaise-style seating solution with a distinctly retro flair and subtly finished with vintage studs and a button upholstered seat. 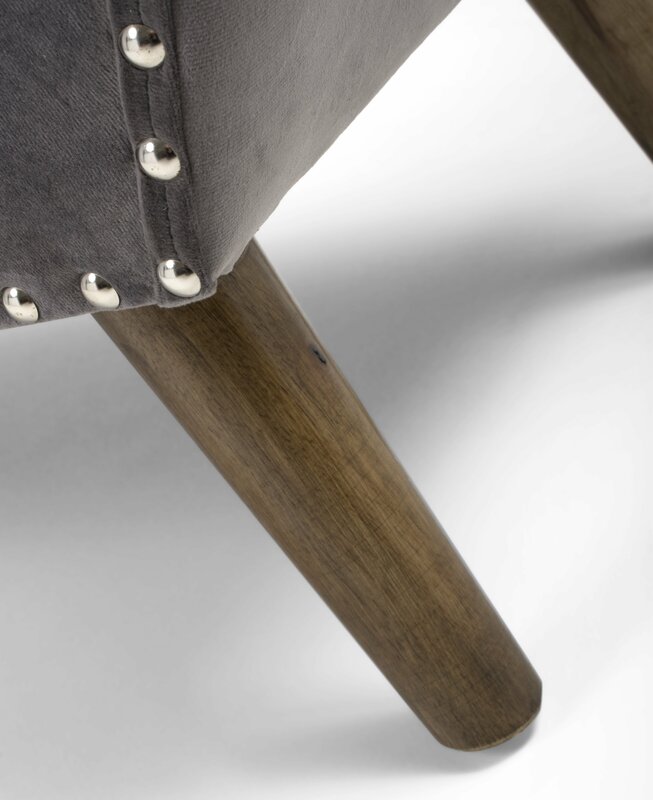 Attractive rubberwood legs in a fashionable Walnut finish, and the Seat is sprung and banded for extra comfort. 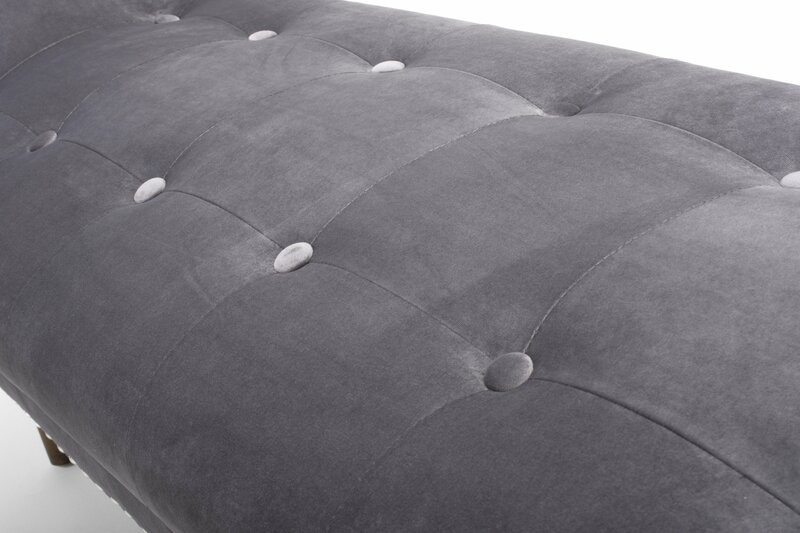 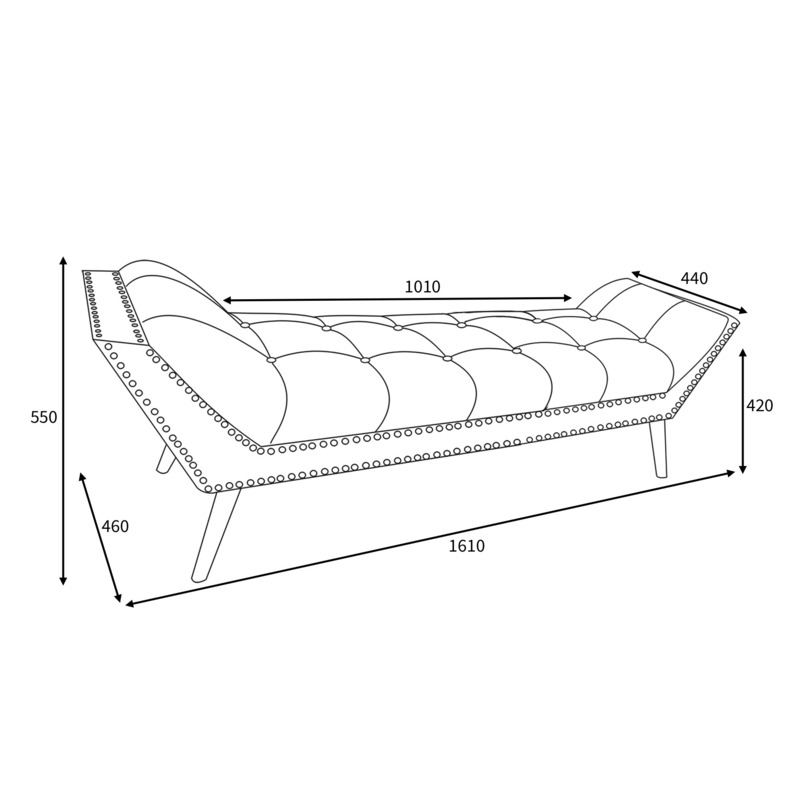 Manufactured to high standards and constructed from solid timber frames, and a thick stylish brushed Velvet material to suit any decor.